When Chinese leader Xi Jinping took over as the head of the Chinese Communist Party (CCP) in Nov. 2012, he began a relentless anti-corruption campaign to root out his political enemies in the opposition faction. It is still going strong. 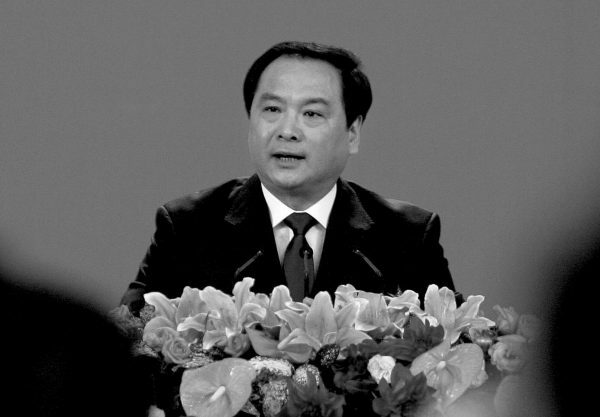 Recently, the high-profile investigation of former internet censorship czar, Lu Wei, proved that Xi hasn’t given up yet. After five years of the campaign, many “tigers and flies”—party jargon for high- and low-ranking officials, respectively—have been purged, charged with corruption, bribery, and embezzlement. More critically, though, they were members of the Jiang faction, loyal to former CCP leader Jiang Zemin. By the end of 2014, 55 “tigers” were purged. 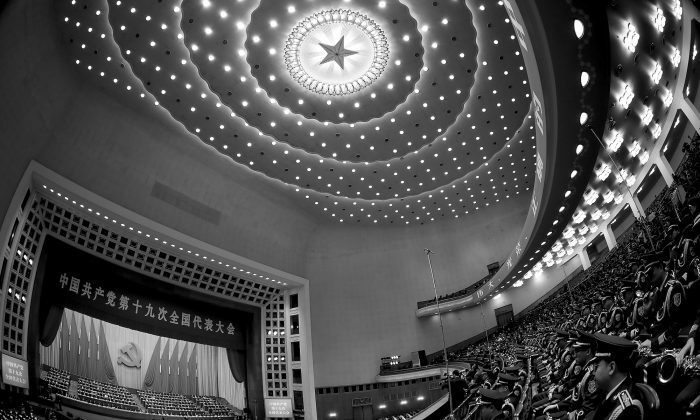 In October, Chinese business magazine Caixin published a summary report, showing how much the Party had changed since the 18th National Congress when Xi took power. 96 “tigers” have been sentenced, and among them, 16 have each embezzled more than 100 million yuan (about $15 million). 31 out of 33 provinces in China saw top tigers punished. However, the Chinese regime has failed to identify a crime that many of these purged officials have committed—the persecution of Falun Gong adherents in China. Falun Gong is an ancient Chinese spiritual discipline with slow meditative exercises and moral teachings based on the principles of truthfulness, compassion, and tolerance. 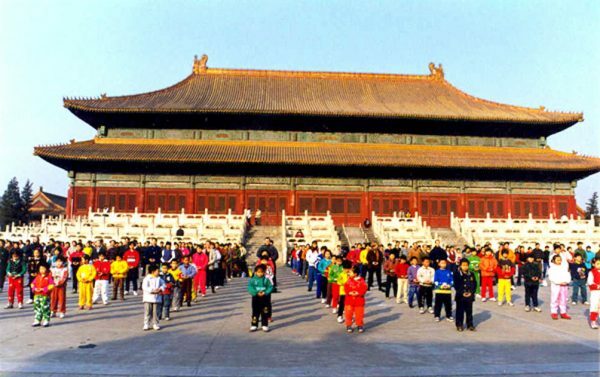 According to a state survey, there were 70 million practitioners of Falun Gong in China by 1999, seven years after the discipline was first introduced to the public. Practitioners say the actual number was over 100 million. Worried that Falun Gong’s popularity would threaten his control of the Party, former leader Jiang Zemin, who ruled China from 1989 to 2002, initiated a statewide persecution against the practitioners, often with torture, brainwashing, forced labor, and jail sentences. According to Minghui.org, a website that monitors the persecution in China, there are a total of 137,965 documented cases of Falun Gong practitioners being persecuted—either experiencing physical abuse, psychological abuse, violations of basic human rights including illegal detention, and financial suffering such as illegal fines. Among them, 4,154 are confirmed to have died, as of Dec. 1 this year. The numbers for the incidents of persecution and deaths are each likely far higher due to the difficulties in securing and passing verified information out of China. The press office of Falun Gong, the Falun Dafa Information Center, estimates that millions of practitioners have been subjected to wrongful imprisonment, brainwashing, and torture. In addition, independent researchers have reported that Falun Gong practitioners are the principal source of organs for use in China’s extensive organ transplantation system, killing the practitioners. A close examination of Minghui.org and statistics from the World Organization to Investigate the Persecution of Falun Gong (WOIPFG) reveals that 138 purged officials have been involved in the persecution of Falun Gong practitioners. Here are short bios of a sample of these individuals. 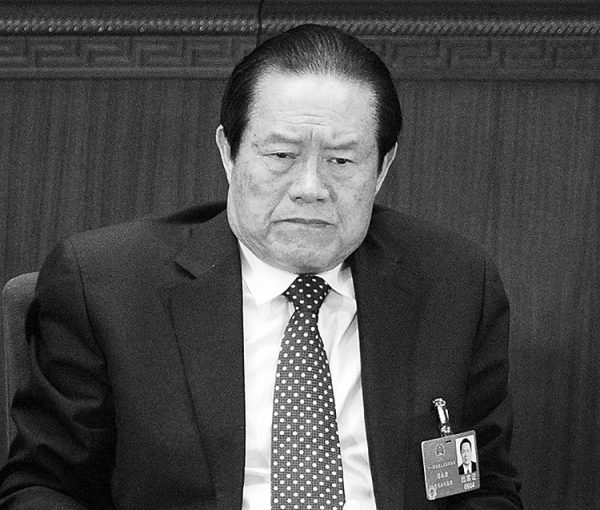 Zhou Yongkang, national level, former member of the Politburo Standing Committee, the CCP’s top decision-making body, and former head of the Central Political and Legal Affairs Commission. He was sentenced to life imprisonment in June 2015. Zhou, a member of the Jiang faction, was one of the chief accomplices behind the persecution. While he was the party secretary of Sichuan Province, his efforts in persecuting local Falun Gong practitioners boosted him up the political ladder. The Central Political and Legal Affairs Commission, controlling all of China’s security apparatus at the time, acted like a second power base rivaling Zhongnanhai—the CCP’s headquarters in Beijing. Zhou ensured that the Commission devoted more money annually into executing the persecution than the yearly expenditures on China’s military. Zhou took the lead in greenlighting the state-sanctioned system of harvesting organs from Falun Gong practitioners for transplant surgery, resulting in large numbers of deaths. Zhu Mingguo, former chairman of the Guangdong Provincial Committee of the Chinese People’s Political Consultative Conference. He was sentenced to death with reprieve in November 2016. Zhu had been the party secretary for the local offices of the Central Political and Legal Affairs Commission in Chongqing, Hainan Province, and Guangdong Province. He was in charge of the persecution of Falun Gong at these three localities. The WOIPFG has issued many notices describing Zhu’s crimes in carrying out the persecution. 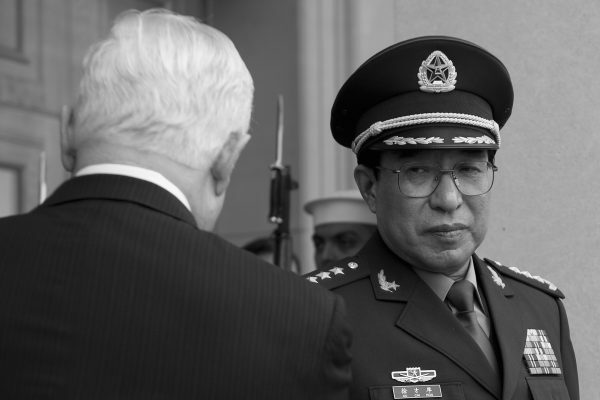 Xu Caihou, former member of the Politburo, former vice chairman of the Central Military Commission (CMC), and former top general. On Dec. 11, 2014, a Chinese military newspaper published a commentary article, calling Xu a “national devil.” While being prosecuted, he died from cancer on March 15, 2015. Xu was one of the main persons in the military in charge of the persecution and the implementation of forced organ harvesting from prisoners of conscience in the Chinese military’s hospital system. He is one of Jiang’s principal accomplices. 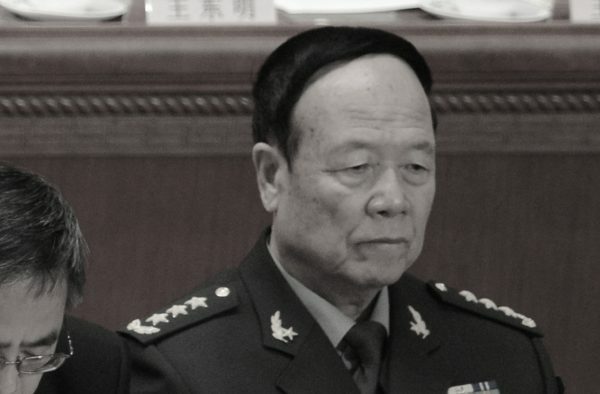 Guo Boxiong, former member of the Politburo, former vice chairman of the Central Military Commission (CMC), former top general. He was sentenced to life imprisonment in July 2016. Guo was considered a “military tiger” and another leading accomplice to Jiang’s persecution. WOIPFG issued an investigative report showing how the Chinese military, under the control of first Jiang and later, Xu and Guo, played a major role in the setting up military hospitals for conducting organ harvesting from Falun Gong practitioners. 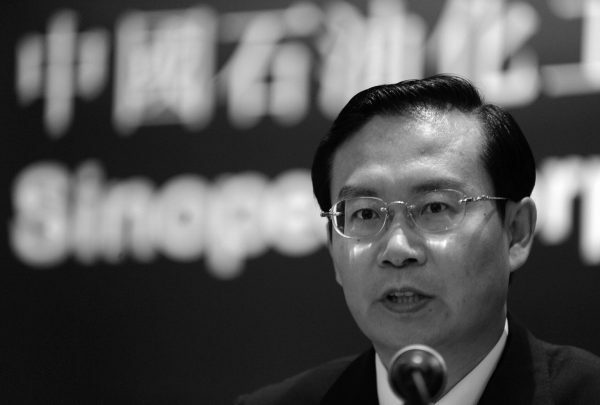 Ling Jihua, former vice chairman of the national Chinese People’s Political Consultative Conference, a CCP advisory body, and former head of the United Front Work Department, the CCP agency in charge of subversion. He was sentenced to life imprisonment in July 2016. As head of the United Front Work Department, it was Ling who oversaw the persecution of Falun Gong practitioners outside of China. In Hong Kong, Macao, and the United States, he controlled local Chinese community organizations to interfere with practitioners’ activities. Zhou Zhenhong, the former head of the United Front Work Department in Guangdong Province. He was sentenced to death with reprieve in February 2014. Zhou, formerly the mayor and party secretary of Maoming City in Guangdong, was active in the persecution. Later, he was promoted by Li Changchun, then the Party secretary for Guangdong, to be the head of Guangdong United Front Work Department. Li would go on to become the regime’s propaganda chief and a member of the Politburo Standing Committee. Li’s propaganda apparatus played an important role in the persecution by spreading lies about Falun Gong. Huang Ju, former member of the Politburo Standing Committee, the CCP’s top, most powerful decision-making body, and former Vice Premier. He died from pancreatic cancer at the age of 69, while he was serving in those positions. On July 23, 1999, Huang, who was party secretary of Shanghai at the time, took the lead in acknowledging the persecution as “very timely and absolutely correct.” During the 16th National Congress in 2002, he was responsible for a report detailing how the persecution should be the “striving objective and main task in the next five years.” In 2003, Huang was promoted to be the Vice Premier, in charge of the country’s finances. It was Huang who assisted Jiang in spending a quarter of the country’s wealth on executing the persecution. 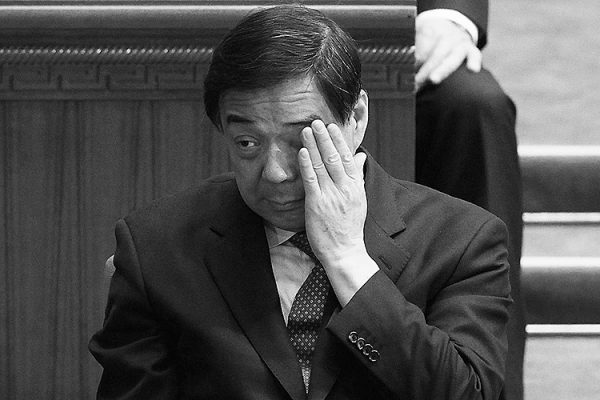 Bo Xilai, deputy national level, former member of the Politburo, former member of the Central Committee, and former party secretary of Chongqing. He was sentenced to life imprisonment in September 2013. Bo, while in the position of mayor and party secretary of Dalian City in Liaoning Province, governor of Liaoning, and party secretary of Chongqing, was actively following Jiang’s policy of persecution. Together with Zhou Yongkang, he was the mastermind behind perfecting the organ harvesting system. 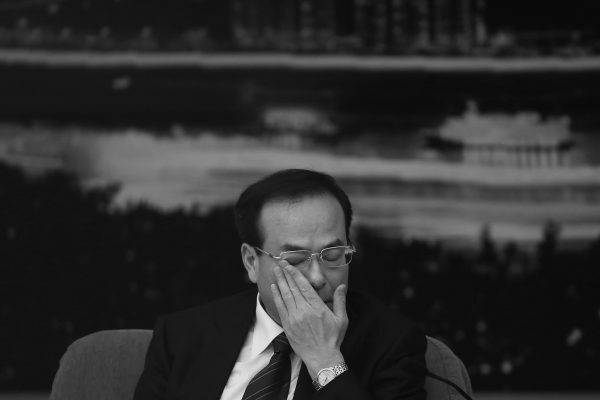 Sun Zhengcai, former member of the Politburo, former party secretary of Jilin Province, and former party secretary of Chongqing, who took over after Bo was ousted. On July 24, 2017, an anti-corruption case was established to investigate him. Sun was widely believed to have been groomed by the Jiang faction, after the fall of Bo Xilai, to become the next CCP leader, if a political coup was successful. While holding political office in the Shunyi District of Beijing, Jilin Province, and Chongqing, he did not hold back in executing the persecution. The WOIPFG has named him on its list of perpetrators. Zhou Benshun, the former party secretary of Hebei Province, and former chairman of the standing committee of the Hebei National People’s Congress. He was sentenced to 15 years imprisonment in February 2017. After becoming a member of the Central Commission of Political and Legal Affairs, Zhou became a CCP hitman in the persecution of Falun Gong. He was very active in pushing forward persecution policies around the country. He was a regional iconic figure who got promoted because he had closely followed in the footsteps of Jiang and Zhou Yongkang. Xu Youfang, former party secretary of Heilongjiang Province, and standing committee chairman of the Heilongjiang National People’s Congress. He was stripped of his position in March 2003. Under Xu, the Wanjia Labor Camp in Harbin City, the detoxification center in Harbin, the Heilongjiang Women’s Prison, the labor camp in Daqing City, and the Hong Wei Xing brainwashing base in Daqing had all become places for persecuting Falun Gong practitioners. Xu had a direct hand in an incident in Wanjia Labor Camp in which 15 female practitioners were thrown into male prison cells in 2001. Some of these women later died from abuse they had suffered. Su Shulin, the former deputy party secretary of Fujian Province, and former governor of Fujian. He was placed under investigation in October 2015. While serving as secretary to the Party organization at the Daqing oil field, he came up with over 100 different torture techniques to use on Falun Gong practitioners in Daqing City. He also held a key position within the Daqing Petroleum Administration Bureau, which ran a brainwashing center to coerce local practitioners into giving up their faith with psychological abuse. Su turned Daqing into one of the worst areas of persecution. As governor of Fujian, he continued to enforce the persecution policy. Wei Hong, former deputy party secretary of Sichuan Province and former governor of Sichuan. He was demoted from minister-level to deputy department level. In Feb. 2016, he was stripped of his position as a representative to the National People’s’ Congress, the CCP’s rubber-stamp legislative body. While he served as the head of the party Organization Department in Sichuan Province, he openly slandered Falun Gong. He was the main official in charge of the persecution in Sichuan. Minghui.org has placed him on the list of known persecutors of Falun Gong. Li Dongsheng, former vice minister of the Ministry of Public Security, and the director behind the staged “Self Immolation” incident in Tiananmen Square. He was sentenced to 15 years in prison in January 2016 for bribery. As former head of the 610 Office, the Party organization set up to persecute the spiritual practice of Falun Gong, he was directly involved in the illegal arrest, detention, sentencing, and organ harvesting of Falun Gong practitioners. As the former vice president of the Chinese regime’s mouthpiece broadcaster CCTV, Li was responsible for spreading propaganda that defamed Falun Gong, inciting hatred against the practice among Chinese people. Wang Lijun, the former police chief and vice mayor of Chongqing. He was sentenced to 15 years in prison in September 2012. While serving as police chief in Tieling and Jinzhou cities in Liaoning Province, he was responsible for doing research on transplantation methods and for carrying out organ harvesting of Falun Gong practitioners. Ma Jian, former vice minister of the Ministry of State Security. He was expelled from the Party in December 2016. Ma was in charge of the Ministry’s No. 19 bureau, which was tasked with monitoring Falun Gong practitioners’ activities overseas. Most of the spies working overseas have come from this bureau. Liu Zhijun, former party secretary of the Ministry of Railways, and former head of the Ministry of Railways. He was placed under investigation in February 2011 and was sentenced to death with reprieve in July 2013. 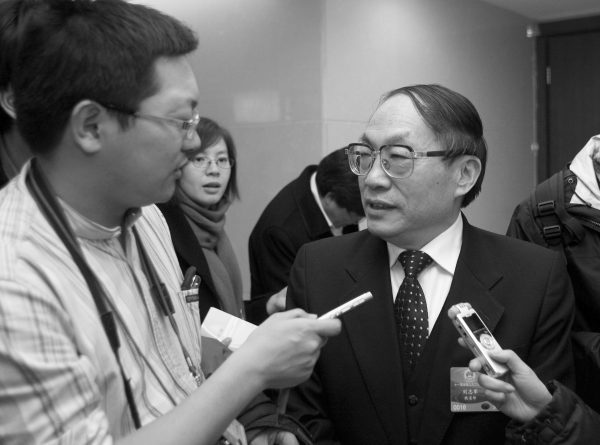 Liu was a key member of the Jiang faction. 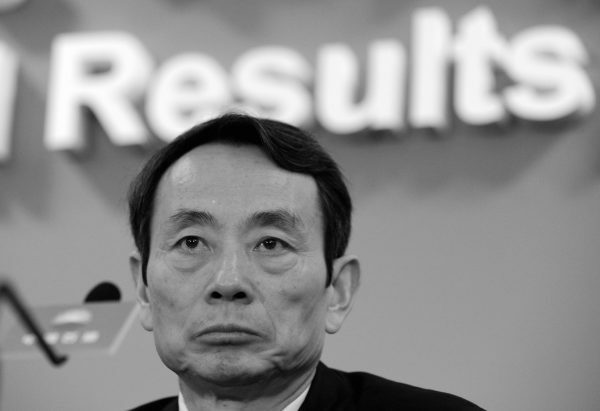 While Liu was minister, the railway system had its own courts, prosecuting body, and police. Many Falun Gong practitioners who worked in the railway system were persecuted as a result. Wang Yongchun, former vice president of PetroChina. He was sentenced to 20 years in prison in October 2015. Wang made the list of criminals on Minghui.org because of his role in the persecution while he was president of Daqing Oil Field. Later, while he was at PetroChina, he supplied funding for Zhou Yongkang to carry out the persecution. Xu Jianyi, the former president, chairman, and party secretary of the FAW Group automotive company. He was sentenced to 11 years and 6 months in prison on February 2017. 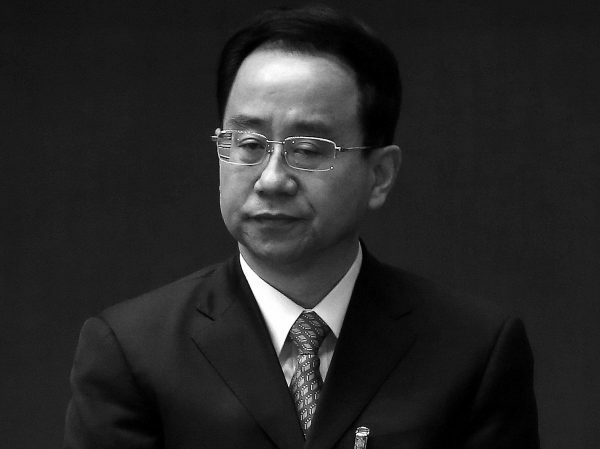 Xu once publicly said that “Falun Gong should be dealt with viciously.” While serving different positions, including mayor of Jilin City (a major metropolis, the second largest city in Jilin Province in northeastern China), he carried out the persecution policy obediently, allowing him to be promoted to such a high position at the FAW Group. Xu Qianfei, the former party secretary and head of Jiangsu People’s High Court. He was placed under investigation on July 24, 2017. Xu had worked at different courts for 25 years in three provinces, Hainan, Yunnan, and Jiangsu. According to Minghui.org, he was the main culprit behind the persecution of Falun Gong practitioners, sentencing practitioners through the court system in Yunnan. 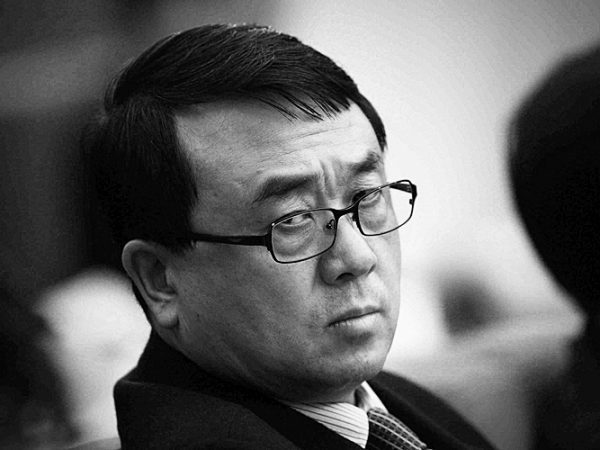 Chen Xu, the former prosecutor general of Shanghai People’s Procuratorate. He was placed under investigation in March 2017. 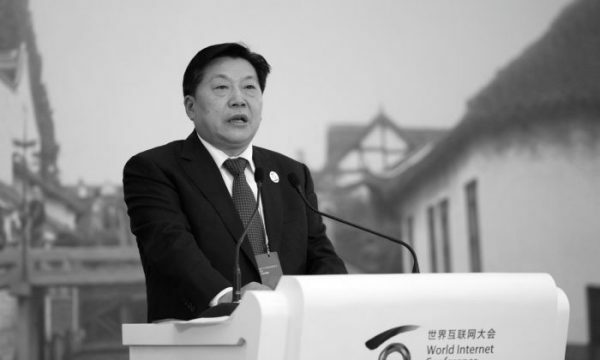 Chen, who became the president of Shanghai First Intermediate People’s Court in 1998 and deputy secretary of the Political and Legal Affairs Commission of Shanghai in 2002, has been named by the WOIPFG for his role in persecuting practitioners through the judicial system. 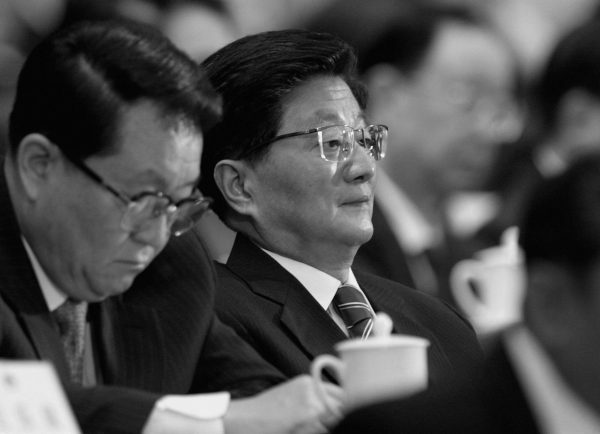 Jiang Jiemin, the former chairman of the state-run Assets Supervision and Administration Commission (SASAC). He was sentenced to 16-years in prison in October 2015. During his tenure in the state-run oil sector, Falun Gong practitioners working in the oil industry were detained, sentenced to prison and labor camp, and forced into brainwashing centers. Some died as a result of the torture. 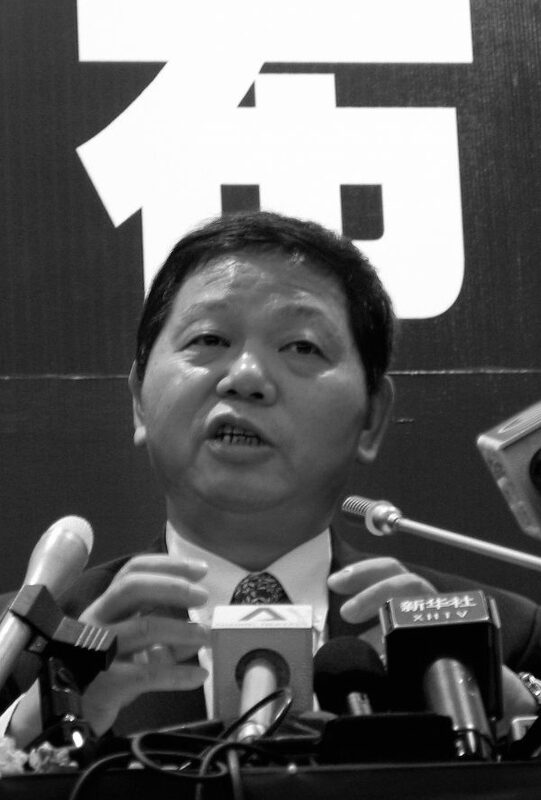 Lu Wei, former director of the Cyberspace Administration, and deputy head of the Propaganda Department. On Nov. 21, he became the first tiger to be placed under investigation after the 19th National Congress. Lu could not shirk his responsibility in the persecution, given how so many Falun Gong practitioners were persecuted because of their posts and comments online about the CCP’s ongoing persecution. Xu Zongheng, former mayor of Shenzhen City in Guangdong Province. He was put under “shuanggui,” CCP’s extralegal disciplinary proceedings in 2009. He was sentenced to death with reprieve in May 2011. During his tenure in Shenzhen, the level of persecution was high, as Falun Gong practitioners were monitored, their phones tapped, and they were kidnapped. Huang Xingguo, former acting party secretary of Tianjin City, who also served as mayor. He was sacked in September 2016 and referred to the criminal justice system in January 2017 for prosecution. During his political career in Ningbo (city in Zhejiang Province) and Tianjin, he had openly slandered Falun Gong. According to Minghui.org, while Huang served within the Tianjin government, he worked closely with Zhang Gaoli, who was Tianjin party secretary from Nov. 2007 to Oct. 2012, in carrying out the persecution of Falun Gong. Just before the Two Sessions political meeting in 2015, Huang couldn’t avoid responsibility for 37 Falun Gong practitioners who were either harassed or had their homes ransacked. During that time, at least 60 to 70 practitioners were detained, and more than a dozen were illegally sentenced.